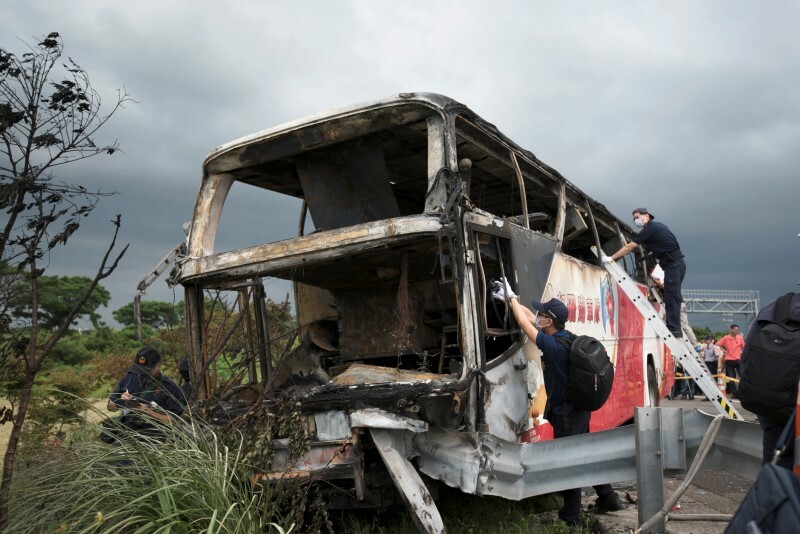 TAIPEI (Reuters) – A Taiwan tour bus carrying tourists from China crashed into a highway railing en route to the airport on Tuesday and burst into flames, killing all 26 on board, Taiwanese authorities said. 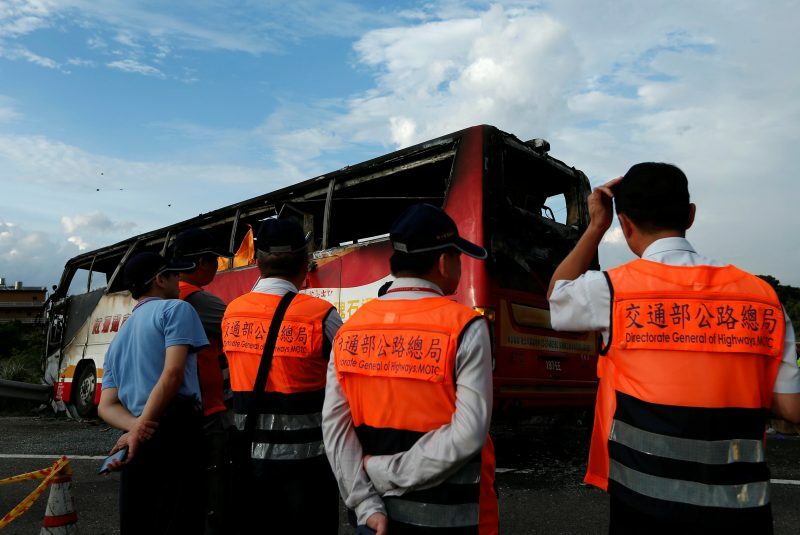 The bus was carrying 24 tourists on an eight-day tour organised by a travel agency in China’s northeastern province of Liaoning, authorities said in a statement. 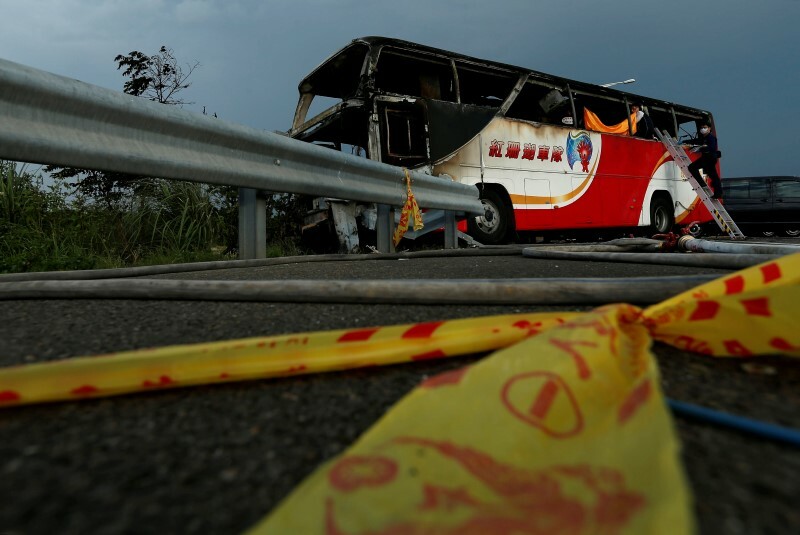 The driver and the tour guide, both from Taiwan, were also killed. “The fire moved very fast. 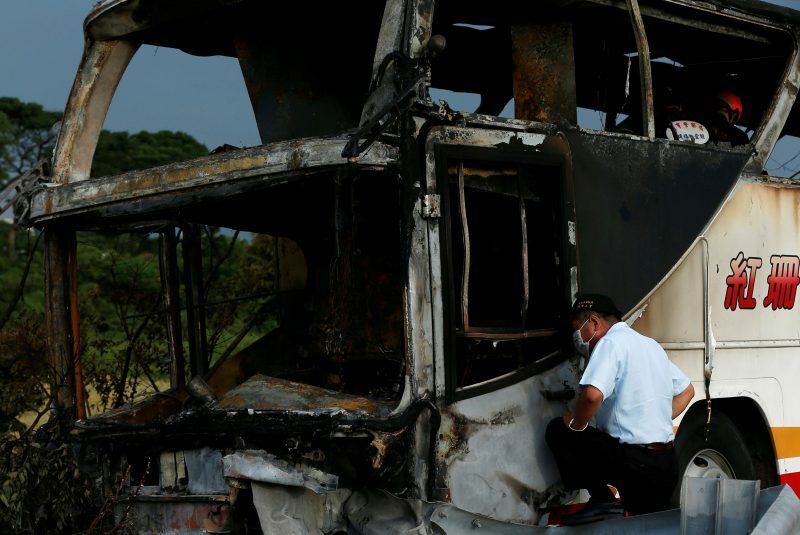 All 26 died,” Lu Jui-yao, an official with the National Highway Police Bureau, told reporters. Taiwan is a popular destination for mainland tourists, who provide a major source of tourism revenue for the island. Traffic accidents in Taiwan involving Chinese tourists are not uncommon. China regards Taiwan as a renegade province and for years travel between the two sides was restricted, but tourist exchanges have deepened over the past two decades, with many Chinese visiting the democratically ruled island for the first time. The cause of the fire was unclear. Taiwan authorities were investigating. 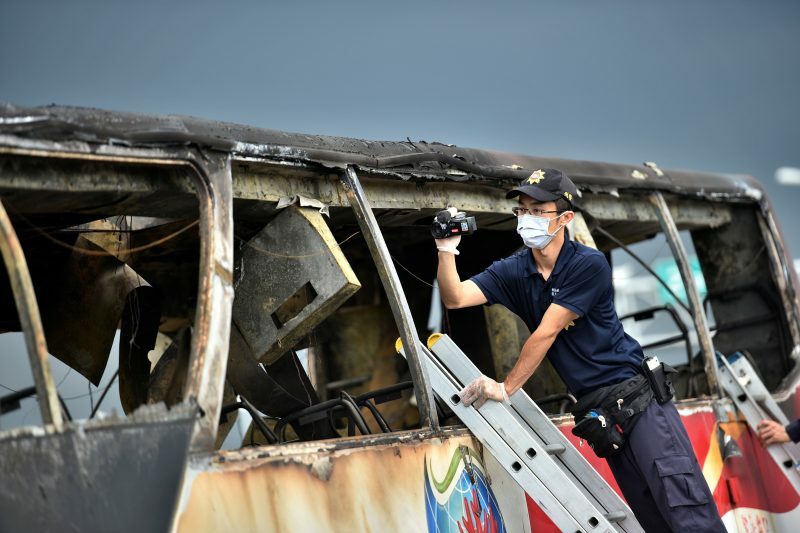 Taiwan’s cabinet spokesman, Tung Chen-yuan, said government officials dealing with tourism and China affairs had reached out to their mainland counterparts and that they would help arrange for relatives of the victims to come to Taiwan. 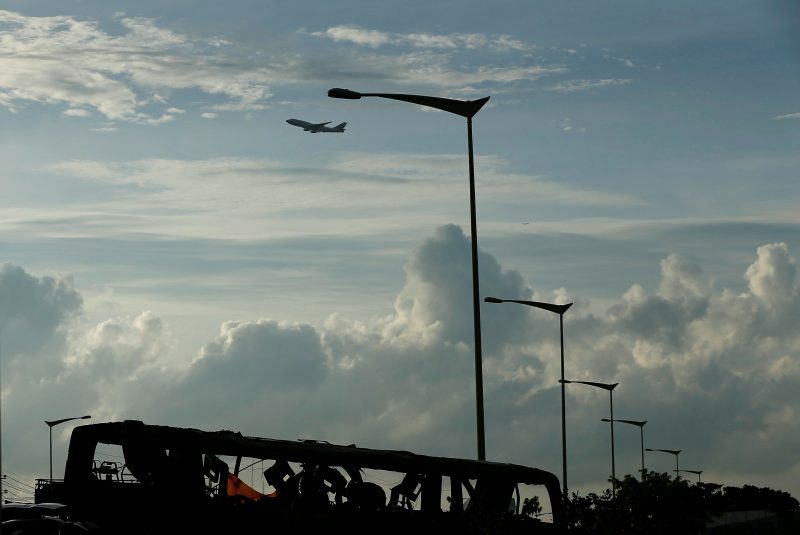 The passengers were on their way to Taoyuan, the island’s main airport just south of the capital Taipei, for their flight back to China when the accident happened.